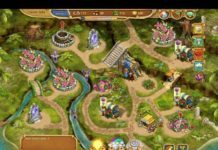 Home Mainstream Can eSports Threaten Poker’s Reign as King of the Online Mind Games? Can eSports Threaten Poker’s Reign as King of the Online Mind Games? For years, poker had been the chosen game for friends and acquaintances who would meet up and enjoy a quick hand or two over a conversation. No Wild West movie would be complete without its grizzled cowboy, Wild Bill Hickok vibe. Even modern-day legends of the game like Doyle Brunson recalls his early days of hustling with the late Amarillo Slim in the crime-filled casinos of early Las Vegas before he made money turning pro years later. 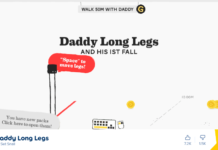 In time, the game would evolve into what we know it as today, a thinker’s game driven by strategic choices, rebranded thanks to new audiences accessing it online. Then, with the help of the internet, came the boom. In 2003, Chris Moneymaker won an online satellite that allowed him to play in the Main Event of that year’s World Series of Poker (WSOP) at the Binion’s Gambling Hall in Las Vegas, bypassing the buy-in of $10,000. 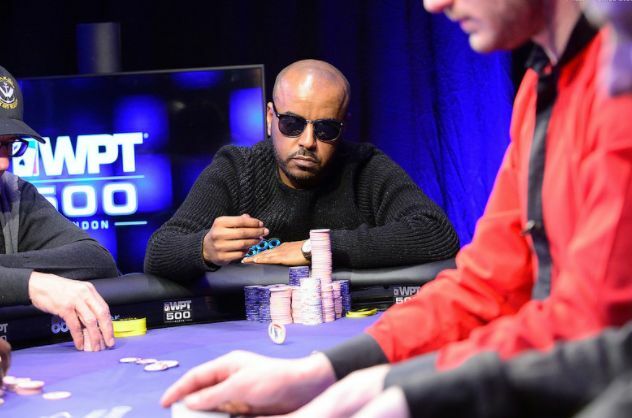 From there, he not only made the final table and the money but won the whole event, scooping $2,500,000 and inspiring others to attempt the same, believing their fortune was just around the corner, too. Online poker had an advantage over live poker because players could launch their careers cheaply by making the most of freerolls, micro stakes and like Moneymaker, satellites. Subsequently, the online poker boom had started. For years, the business grew steadily, then after that period of growth came the fall. On April 15, 2011, the U.S. Department of Justice together with the FBI issued an unexpected 52-pages long indictment that accused various online poker rooms of embezzling illegal gambling funds¸ bank fraud and other gambling offenses. This forced the accused rooms to leave the U.S. market while thousands of American poker players were frozen out of their games and away from their money. Despite this, online poker recovered, especially outside of the U.S., but now, once again, it’s finding itself under threat. 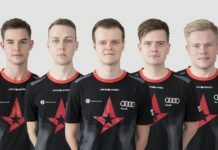 Esports, the professional competing of primarily strategic video games, such as Dota 2, League of Legends, Hearthstone and StarCraft II, are now taking the battle to online poker in a significant way. 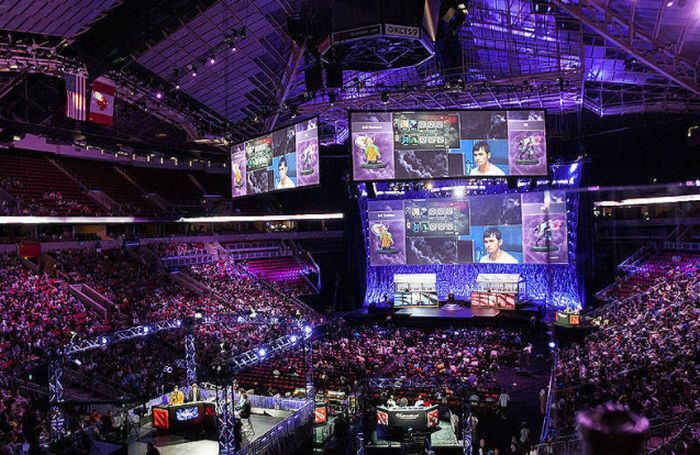 In fact, esports is now a multimillion-dollar industry with an army of fans across the globe. 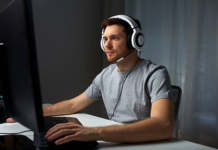 Thanks to the growth of online streaming services, such as Twitch and YouTube, both esports and poker fans can watch the action live from their desktop and mobile devices, meaning they are both capable of reaching the masses the world over with relative ease. 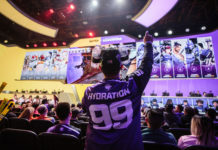 Incredibly, somewhere between 2.2 and 2.6 billion people now watch video games online, according to the Amazon-owned Twitch, with esports revenues alone predicted to double to roughly $1.5 billion by 2020. Competitive esports tournaments have exploded in popularity too, with prize pools, while still not equal to poker, increasing more than 70 times over and showing no signs of slowing. 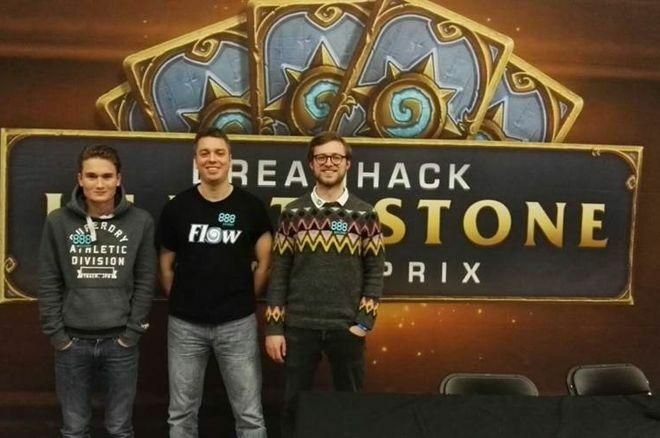 As this infographic proves, the gap between prize pools is closing. A look at the prize pool for the 2016 WSOP shows it was worth a total a little over $221 million. Esports main event, International, on the other hand, is worth slightly less. We should note too that poker players are able to stretch their celebrity beyond poker, in contrast to esports’ top names who are famous only in their circles. Of course, this may change as the world’s thirst for video gaming continues to grow, but of the two, poker is still the game with the top names and huge purses. It will remain significant in popular culture too, either as a plot device for any number of TV shows or as the central subject of a movie, and not just cowboy ones. Only recently, the film Molly’s Game, which details the high-stakes Hollywood poker games hosted by Poker Princess Molly Bloom, was released to critical acclaim and Oscar nominations while talk of a sequel to the 1998 Matt Damon movie Rounders never quite quells to silence. In the esports versus poker battle, poker, fittingly, has another ace up its sleeve, too: Amateur poker players can test themselves and maybe even beat the professionals on their day. This is not a benefit afforded to amateur esports players whose chances of beating a pro are minimal at best. However, shifting generations may be one area where poker would be wise to stay vigilant. It might show concern that among the average age of the 2017 WSOP participants, less than 5 percent were between 21 and 25. Is this disappointing stat telling us that poker’s popularity is dwindling with younger players, and does this leave room for esports to take advantage and steal a win? Well, no, not especially. As outlined briefly above, since poker’s boom, we have seen a rush among those just old enough to gamble, trying their luck at making a living from playing online poker. Then, after Black Friday, online poker, indeed gambling, became inaccessible to most Americans. 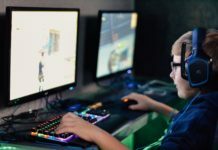 And there’s the rub for esports players; betting online in the U.S. is still mostly forbidden, although recently, some new hope for U.S. online gambling was provided. Esports are quickly catching up fast though. Only last month, the first dedicated esports venue opened on the Las Vegas Strip. The Luxor Resort & Casino is now home to the Esports Arena Las Vegas, a 30,000-sq. ft. space complete with gaming pods, a video wall and a fully decked out stage for the competitions. Online bookmakers and betting operators routinely offer books on esports with traditional sports outlets broadcasting, covering, streaming and wagering on every click of the mouse. Even the World Poker Tour (WPT) teamed up with ELC Gaming, the European division of Allied Esports, in 2017, to merge the two in the first combined poker and esports event at the Holland Casino in Valkenburg, Netherlands. The ever-evolving nature of devices, from the smartphone to the tablet, has opened both formats to new and expansive audiences. Even with poker’s appeal diminishing among the youth, it’s worth remembering that this is still a game rooted in tradition that might date as far back as the 1300s. The point is that poker has been around forever, standing the test of time and is still enjoying a flourish online today with around 80 percent of new players signing up through their mobiles. Does the age and gender of the players — the gaming console generation — mean that change is inevitable? By their nature, video games have a sell-by date, a time when they need new life breathed into their accumulated franchises. They are a product for the youth, yet there is room for both poker and esports to coexist peacefully in the marketplace. After all, they have more in common than they do differences. Take the online poker room 888Poker, who, in 2016, announced a partnership deal with Flow Esports that will allow streamers to wear 888 patches and live stream online poker to their respective audiences. We are also continuously witnessing poker players flirt with esports, moving in and out of the game, which is not surprising given that most poker players are drawn to other thinking, strategic games, testing their skill, timing, logic and luck. 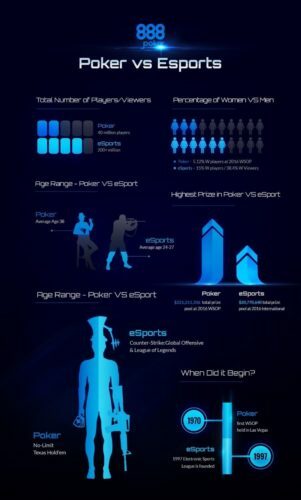 Arguments are consistently being made that poker is esports and given that many Twitch users are millennials who are experienced in making fast decisions from video games, have time on their hands and can play anywhere they choose, the rise of the new medium was inevitable. In the long run, however, the trend is unlikely to be a problem for poker. The nature of video games, the source material for esports, means that they are always evolving and changing, launching sequels and so on. While their popularity is expected to grow and poker, in turn, becomes more of a game, it is unchanging and traditional at its core, which is the key to its success. Even though poker does need to find a younger audience, in formats like Snap and Blast, it has shown itself to be flexible to new ideas. And who’s to say esports gamers won’t come full circle and rededicate themselves to poker years from now? The point is that these two don’t need to be direct rivals, instead, work together to draw in the players of tomorrow.